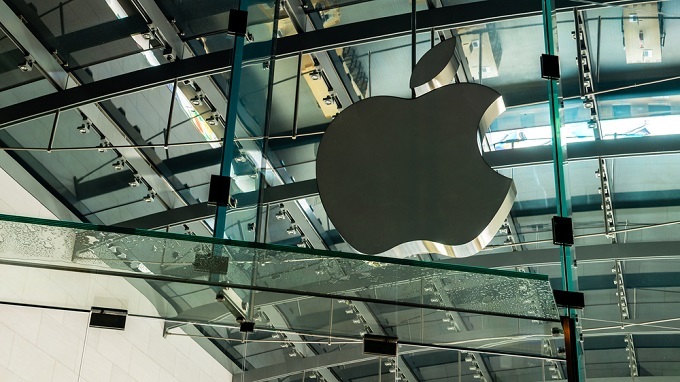 Apple Inc’s (AAPL) fiscal second quarter earnings report on May 1 relieved anxious shareholders who were bombarded with bearish reports of slowing sales for two months leading into the release. The actual results triggered a combination buying spree and short squeeze, lifting shares of the Cupertino, California-based icon more than 20 points to an all-time high above $190. It has gone to sleep since topping out on May 10, drifting sideways in a narrow range pattern that has failed to attract follow-through buying interest. A three-week symmetrical triangle after a vertical trend impulse is perfectly normal, raising the odds for higher prices in coming weeks. This is especially true because the pattern has a strongly bullish reputation, sometimes called the pennant at the top of the flagpole. However, there are technical reasons to believe that Apple stock will turn lower here and fill the gap posted after the news, with the $169 to $174 price zone offering a lower-risk buying opportunity. The stock ended a multi-year uptrend in 2012 and entered a steep correction that found support at the 200-week exponential moving average (EMA) in the second quarter of 2013. The subsequent recovery wave broke out above the prior high in October 2014, generating a strong advance that topped out near $135 in February 2015. A persistent decline into 2016 ended at the 200-week EMA once again, highlighting the importance of that price level, while a February 2017 breakaway gap signaled a fresh trend impulse that continued into 2018. The 2017 uptrend eased into a shallow trajectory in November, while price action into March 2018 posted four nominally higher highs. A parallel line drawn under swing lows going back to July 2017 completes a rising channel pattern, with support now aligned at the 50-day EMA. It will take tremendous buying power to escape gravity from this price structure, especially with the multi-year trendline blocking the path to $200, which also marks a major resistance level. On-balance volume (OBV) topped out in November 2017 after mounting the August high and entered a distribution phase that continued into late April, when speculators bought the stock ahead of the earnings report. Buying pressure after the news failed to lift the indicator above the prior high, setting off a bearish divergence that raises the odds for a pullback or extended trading range. A decline to $185 would change the symmetrical triangle into a more bearish descending triangle, opening the door to a pullback that fills the May gap. The 200-day EMA is traversing that price zone right now, which also corresponds with the .618 Fibonacci rally retracement level. As a result, patient investors and traders looking to get on board the Apple train might get a low-risk buying opportunity in the coming weeks. 0 responses on "Apple Stock: Traders Should Wait for $170 to Buy"